UPDATE: Breakfast at Tiffany's was cancelled and was replaced with Ratatouille. Thursday, Cohn publicly apologized to Sacramento's Asian American community and the rest of the citizenry for including the film in his Screen on the Green free movie series. "We were unaware of this racist content," he said. In the movie, Mickey Rooney plays Mr. Yunioshi, the bumbling, cantankerous upstairs neighbor of Audrey Hepburn's character, country girl turned socialite Holly Golightly. 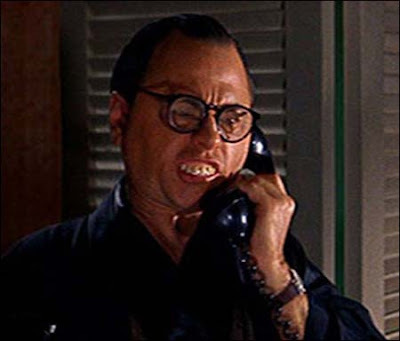 Rooney's character "conjures all the requisite 'Jap' stereotypes: grotesque buckteeth, thick-rimmed glasses, unforgivable 'Asian' accent," wrote Dr. Christina Fa of San Francisco-based Asian American Media Watch in a letter to Cohn. Fa, a longtime Sacramento resident, called the film "arguably the most racist anti-Asian film in American cinematic history" and asked it be canceled. The movie won two Academy Awards for its music. How can you not be aware of the racist content? And while you can say that it's great that they'll put up a disclaimer and try to cut out some scenes and use it as a learning experience - the bottom line here is that they shouldn't be showing it at all for this type of event no matter if it's already in the mail or not. Sacramento Vice Mayor Steve Cohn - get a clue. 2042: Is The White Minority A Myth? SickStep On "America's Got Talent"
McCain, Obama, And Dollar Bills: Are You Serious? Jessica Alba As Wonder Woman?